BLT meets, on average, once every three weeks, if you want us to consider an issue, then please e-Mail the team. BLT continue to meet every 3 to 4 weeks. and Rev Nick Blundell or another member of the Ministerial Team. Investigating and applying for funds for a paid administrative support worker: not successful. Advertising and seeking new recruits to fill vacant posts: successful – all key posts are currently filled. Roger Pollard has taken over Payroll, Lettings Licences and Invoices, and is doing a great deal to simplify our lettings system. Nicki Arkell and Rachel James have taken over as Lettings Officer (job-share). Ros Crosland has also taken on the role of updating the weekly bookings board, and of meeting and greeting any potential new users. Jennifer Evans is now organising the money-counting rota of volunteers. Ashley France has offered to take on the role of GDPR Data Controller. Claire Nott has offered to take on the Gift Aid reclaim role when Robert Watson retires this summer. And finally, Gary Picken has come forward to work in partnership with John Sykes as Treasurer, to share the load and learn the ropes. Huge thanks to all those who are retiring from jobs which they have been doing so well. BLT has received brief regular updates about the building works when these affect the current operation of the Church and Wesleys. GDPR. BLT continues to grapple with the wider implications and challenges presented by GDPR requirements. Acknowledgements and thanks. BLT seeks to notice, acknowledge and thank those who “go the extra mile”. We were delighted to give our full support to a request from Sean and Jonathan Hayes that they organise and run a Youth Alpha Course in the near future. Supporting the current JSP Values programme which has been devised by our Lay Pastors. Arrangements have been made with Rob Cooper, the District’s Employment Officer to come to Baildon to run a “Good Practice” training workshop for all those involved in or interested in the management of staff and volunteers at Wesleys. BLT have arranged for a much-overdue review of the job descriptions of 2 of our paid staff. Installation of new multi-media projector and secondary glazing to the rear church windows. Offering encouragement to Allen Pollard in seeking to have our premises designated as a recycling centre for Crisp packets via Walkers Crisps. Well done Allen!! BLT continue to meet roughly every three weeks. Current members of BLT are Janet Binks (Steward); Ashley France (Property and Enabling); Jennifer Evans / Caroline Pollard (Pastoral); Allen Pollard (Work with young people); Chris Flecknoe (Worship and Church Life and Fund-raising Strategy Group). Rev Nick Blundell also attends regularly; Mervyn Flecknoe and Peter Jackson, Lay Pastors, receive the minutes but attend only when there is to be a discussion which it is important for them to take part in. Summary of key issues dealt with (discussed responded to, supported, overseen etc.) over recent months. Discussion of barriers that stop people coming to church. Developing a Beaver Colony / Scouting at our church. The Great Get-Together / Big Lunch – inspired by the late Joe Cox. Review of wedding and funerals fees. Future of “Parade” services. Agreement has now been reached with the Guide leaaders that in future the all-age worships in February, May and November will be “Parade” Services. The other 2nd Sundays will continue as All-age Family worship but without any expectation of flags and parading. Strengthening communication with the Uniformed Organisation leaders. New closed Facebook site for the Church and Uniformed Organisations leaders to make it easier for us to share information and publicise events at church has been set up. Christian Aid – future fund-raising. This year will be the last year when our church will organise door-to-door collections for CA. Commencement of after morning worship prayer volunteers – arrangements. Updates from BIG Team: we are kept up to date on significant issues. Stationing – Rev Nick Blundell – consultation carried out. Continuing success of “Occasional Stewards” system. Chris Flecknoe, Chair of BLT and Janet Binks, Senior Steward. Since the last Church Council, BLT has met roughly every three weeks as a team and members have undertaken other work to address and resolve issues in-between these meetings. Current members of BLT are Janet Binks (Steward); Ashley France (Property and Enabling); Jennifer Evans (Pastoral); Allen Pollard (Work with young people); Chris Flecknoe (Worship and Church Life and Fund-raising Strategy Group). Rev Nick Blundell also attends regularly; Mervyn and Peter receive the minutes but attend only when there is to be a discussion which it is important for them to take part in. John Sykes also attended one of the BLT meetings when financial matters were on the agenda. a) Pulpit consultation. Over 200 survey responses were received. 60% favoured retaining the pulpit; 40% favoured removal. The majority of younger people favoured removal, whilst the majority of over 60s favoured retaining it. There were differences of view within BLT about what recommendation we should present to Church Council. The majority decision within BLT was to recommend to Church Council: “That in the light of the results of the consultation about the future of the pulpit, the pulpit should be retained for the time being.” It was noted that this issue will need to be revisited when the building improvement plans for our premises reach Phase 3.
c) Technical support to worship: computer hardware and software issues; trouble-shooting; computer rota (lack of volunteers); sound system improvements. Training on use of the new portable sound system for anyone who wishes to attend will be arranged soon by Allen. d) Leadership and Ministry. These issues were discussed at some length in BLT and led to two papers being written for publication in the February Centre Pages. e) Parables for Baildon and the Start Programme discussed with Mervyn and Peter. f) Occasional stewards. Following concerns about the difficulty of recruiting stewards, BLT were delighted when Janet reported that 11 people have now offered to assist. g) Visit of Lord Mayor: arrangements (Christmas Carol Service). a) Junior Church: continued discussions to find ways to support our Adventurers Leaders and encourage attendance. b) Scouting. We have been approached by the District Scout Commissioner who would like to see the full range of scout groups gradually be created at our church. c) Youth Club: we are delighted that Circuit Youth Worker, Laura Tunicliffe, is spending time supporting our Youth Club and Leaders on a Friday night. b) Need for a church historian / archivist: to look after our historical material. a) Review of charges for flower arranging at weddings and general charges for wedding and funerals. b) Redundancy calculations – and the need to be aware of our potential liability for these. .
b) New lettings regime – Ashley reported Diane already achieving additional bookings and speedier invoicing. c) Charity commission annual return. Review of Rosemary’s excellent draft and small suggested amendments. d) Complaints and concerns notice: devised and put up on notice board. Consultation from the Circuit as to whether funds should be found for a full-time superintendent. If you have issues you would like BLT to discuss in the future please speak to any member of BLT for it to be put on the agenda. Chris Flecknoe and Janet Binks, Baildon Leadership Team. February 2017. That Mervyn should take on the line-management of Terry Walter, Caretaker, from John Sykes. Welcoming parents with babies and toddlers. BLT conducted some consultations and brought forward a proposal (which was approved at Church Council) to create a Welcome Baby Corner in the church for Sunday morning worship. 30 October (a 5th Sunday). “Parables for Baildon”: Confirming (under leadership of Mervyn) the plans for the third part of the “Jesus-Shaped People” programme under the title of “Parables for Baildon” for January / February 2016. 125 Anniversary conclusion and recording (see report from W&CL for more details). Baildon Co-op: Agreeing and liaising over voluntary assistance from the Co-op which has led to donation of some foods to Wesleys and Fair Trade goods to the youth club. Public telephone in Wesleys: Decision taken to remove. Wesleys Café afternoon opening hours: discussions ongoing with Wesleys Catering Committee. Community concerns including our Church’s response to the floods and the proposed transfer of Baildon Library in 14 months’ time to a community group and volunteers. Circuit Children’s Ministry Enabler Review: BLT has discussed and responded (in conjunction with the Stewards) to Circuit Questionnaire about review of the role of the Circuit Children’s Ministry Enabler. Collections for refugees via Red Cross at Baildon Co-op: In conjunction with CTiB. Thanks to everyone who took part and helped to raise over £700. Changing patterns of church attendance. Improving arrangements for the management of external promotional banners. Dealing with assorted queries, requests, and concerns from members of the congregation. Sending letters of thanks and concern / support to members of the church family as appropriate. BLT continues to meet approx. three weekly as a team, and members have undertaken other work between meetings to address and resolve issues. Summary of issues dealt with (discussed responded to, supported, overseen etc.) spring/summer. Request from War Graves Commission approved for commemoration stone to a young Baildon man, T. Greenwood, who is buried beneath our church garden. Request for blinds to large church windows from Baildon Buddies Film Club and applications to Baildon Town Council for funding for these. Overseeing progress of building improvement programme. Overseeing and ensuring linkage on a variety of issues between various church committees. Agreed proposal for Bradford Youth Service to use Room 3 on weekdays as an office base. Need for new Christian Aid Co-ordinator following departure of Stuart Moorhouse. This issue is still unresolved. Safeguarding – including new team approach to be piloted at Baildon and new policy about ensuring photos of children not used on social media sites without parental approval. Circuit matters including ensuring that Baildon had its full quota of 3 representatives in attendance at the Circuit Consultation meeting on 2 December and discussing a response to the issues presented at this consultation. During June and July BLT has met four times and here is an overview of some of the key issues that have been discussed and actioned. Building Improvement Plans. BLT continues to be updated and have an oversight on building development issues. In particular, we are in discussions with Wesleys catering over the proposed kitchen designs. The Property Committee continues the process of gaining planning approval from Bradford Council. The Fund-Raising Application Team continues to gather information to support applications to be made to external funding bodies once plans are approved and costed. Special thanks to all those who are continuing – with great inventiveness – to raise funds for The BIG Fund. We are particularly glad to be able to report to you about the Jesus Shaped People (JSP) Programme. This is exciting news! Following a meeting of BLT and Stewards, with Canon Gordon Dey to learn more about the “Jesus-Shaped People” Programme which he has developed, we have unanimously agreed to recommend to the Church Council that Baildon Methodist Church undertakes this Programme between January and April 2014. JSP provides materials and resources to engage ever JSP y section of our Church Community in reviewing what it means to be a follower of Jesus. Lots more news about this to come over the coming months and a planning team for JSP is currently being put together by our Lay Pastor, Local Preachers and other leaders. The JSP Programme will focus on helping us to understand more about the priorities that Jesus modelled in his three year ministry and discipleship training programme, and to interpret what this means for ourselves as individuals and as a church. Various requests and comments about worship styles. We know that everyone has different tastes in worship styles and that it is impossible to please all the people all of the time. We continue to feel that there is great value in our all-age main family services of worship at 10.00a.m. on Sundays and we feel that it is a strength that these services incorporate a range of styles. BLT feels it important that we continue to seek to make our worship attractive, joyful, and accessible to newcomers. We note that ultimately, it is the responsibility of the preacher / worship leader each week to determine the content and style of worship. We are continuing to support discussions about the possibility of responding to a request for a monthly 4p.m. family worship. Representation of our church at Circuit Meeting. We are delighted that Christine Leighton has now agreed to join John Sykes and Lynne Ware to bring us up to our full entitlement of 3 representatives at Circuit Meetings. 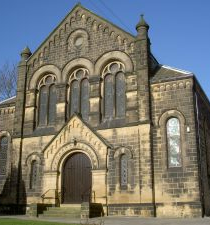 The appointment of a voluntary, lay pastor at Baildon Methodist Church (prior to this matter going to Church Council on 12 February for a decision). Mervyn Flecknoe has been appointed to this post: watch out for full information about what this role will involve soon. Request for stall in Wesley’s for Bradford’s “Warm Homes: Healthy People” initiative. A new group for teenagers on Friday evening – now being led by Diane France – many thanks to Diane. Arrangements for Lenten study and Easter services. Circuit Mission Review: arrangements for questionnaires to be completed and issues for Baildon to be discussed. Continuing discussions about the likely increase in Circuit Assessment.